Let’s face it. Dads often get the short end of the stick when it comes to gifts. While moms are lavished with thoughtful presents, dads must settle for a homemade ashtray made from Play-Doh. This year, get dad something that he’d actually use such as the Panasonic Arc 3 Shaver (available at Target and Walmart). It features unique shaving sensor technology that can automatically detect a beard’s density and adjust motor speed for a gentle, efficient shave. With a sleek design and advanced features, this state-of the-art shaver is sure to keep dad happy and well-groomed. What is the best/worst Father’s Day Gift you’ve given or received? 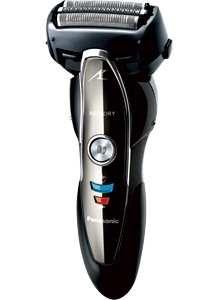 Mocha Man Style’s “Panasonic Arc 3 Shaver Father’s Day Sweepstakes ” starts on Wednesday, May 28, 2014 and ends on Wednesday, June 4, 2014 at 11:59 a.m. (CST), and is open to all Mocha man Style readers, subscribers, and/or fans 18 years old and older in the continental U.S. No purchase required. Relatives and employees of Goodall Family Media are not eligible to win. You are also ineligible if you’ve won a prize from this website within the past 30 days. One (1) winner will be chosen via Random.org and announced soon after the ending date. You must leave your contact information to collect your prize. If a winner does not respond within 3 days, a new winner will be chosen. Disclosure of Material Connection: I received compensation and/or one or more of the products or services mentioned above for free in the hope that I would mention it on my website. I am disclosing this in accordance with the Federal Trade Commission’s 16 CFR, Part 255: “Guides Concerning the Use of Endorsements and Testimonials in Advertising.” All opinions are my own. Allow 3-6 weeks for giveaway fulfillment. While Panasonic has provided promotional support in the form of prizes, Panasonic is not sponsoring or administering the sweepstakes on this website. Prize value = $130. To see the winner, visit our Winners Page.